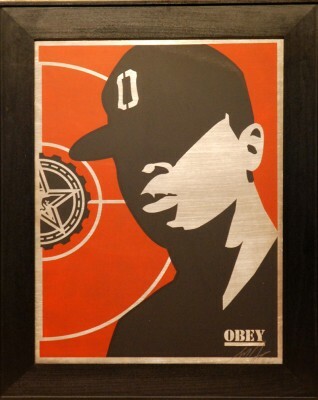 Chuck D is one of a kind. As mastermind behind Public Enemy, Chuck D began his ascent into rap history in the mid-80’s when he put out his first mix tape, Public Enemy # 1. It was the foreshadowing to the creation of Public Enemy. Flava Flav, Terminator X and Chuck D signed with Def Jam in 1986 and two years later executed It Takes A Nation Of Millions To Hold Us Back which would prove to be their most successful album to date.Over the past 24 years, Public Enemy has unleashed some of the most politically conscious content that the hip-hop community has ever heard. The first four albums that Public Enemy recorded transcended rap music. Each record built upon the previous one, offering the listener “music from the people, not above the people,” as Chuck D puts it. Fear of a Black Planet ushered in the 1990s with the song “Fight the Power,” a rallying cry for rebellion. Spike Lee used it to frame his landmark film, Do the Right Thing. Then in 1991, Public Enemy came out with Apocalypse 91 . . . the Enemy Strikes Back, its most resolute political record. It is anchored by the song “By the Time I Get to Arizona,” the group’s response to that state’s refusal to honor Martin Luther King’s birthday. Other than the Beastie Boys, Public Enemy has been one of the only rap acts to span two decades and still remain a vital part of the music industry. What’s more amazing is that they’ve done this as they’ve constantly went up against the whole apparatus of the industry. 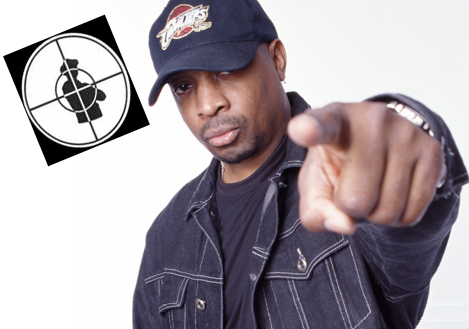 Chuck D has never been anything less than outspoken and become not only a spokesman for rap music but for the struggles of African-Americans his fans wouldn’t want him any other way. Chuck D continues to tour with Public Enemy, but is much more than just an MC; add author, producer, college lecturer and entrepreneur to the list. I got a call from Chuck D shortly after he landed in New York City. He was in good spirits despite losing his luggage. Kyle Eustice: In the documentary “The MC,” you are heralded as the father of politically charged rap. When you first started out, was that your primary goal? Chuck D: “I first stated out in the period of R&B, as in Reagan and Bush. I had no choice but to get somewhat political. I had to talk about my surroundings so it kind of happened by default. It came out of understanding of Curtis Mayfield and James Brown who made it possible. I knew we would have impact as a group”. On Fear of a Black Planet, you explored many themes like black images in Hollywood. 20 years onward, how do you feel about the progress regarding these issues? “We set out to make records that stood the test of time, being inspired by What’s Going On and the great Beatles albums, you know, Abbey Road. We grew up in that period. It first started out in the rock world, then the soul world had great albums. Stevie Wonder, Isaac Hayes, and albums had themes and the themes, well, people would put their whole lives into the themes of albums. When we started recording the ‘80s, rap music had from a singles medium…and was thrust immediately into being this album medium only because the major record companies at that time only mainly operated from a profitable album standpoint”. “We understood the magnitude of what an album was, so we set out to make something not only that epitomized the standard of an album, but would stand the test of time by being diverse with sounds and textures, and also being able to hone in on the aspect of peaks and valleys, so we set out to do that. And here we are, later on. The album was a statement because it actually took a college professor’s theory and turned it into a rap record, which was kind of over-the-top, but reflected where we were at, at that time and especially at that stage and our age, because we weren’t kids. I was a postgraduate college student. It wasn’t like I was 22 or 21. I was 30 years old”. You and Flava Flav seem completely different. How did you end up forming Public Enemy together? “In Long Island, I was involved in music all over the community. Then I got involved in college radio to bring hip-hop to areas that didn’t have it. I met Flava Flav in 1982 while working at WBAU at Adelphi University. Rick Rubin wanted to sign what we were doing. He and Russell Simmons had just started Def Jam”. Hip-hop has seen all sorts of transformations over the years, not necessarily good ones either, what do you think of the current state of hip-hop? “I think the artists are trying to become better, but the infrastructure is lazy and sloppy. The radio stations are lazy. The radio stations have not treated the genre as fans would like . Hip-hop and rap shouldn’t chase as many women away as it does either. It seems like when they make a recording they have no one to send it to. My goal today is to service my websites, SheMovement and HipHopGods, where classic rap lives on”. How do you maintain such a powerful vocal presence without using overdubs? “Melle Mel and sports announcer Marv Albert were two inspirational styles I could learn from when I was getting started. Twenty-five years later I can still yell over a mountain. I don’t smoke and I don’t drink. That helps”. Speaking of, what is your stance on drugs and alcohol use among today’s youth? “Everything in moderation. You can’t tell a person once they are over 19 or 21 what to do. You chose what you want. You do it as long as it don’t do you. If someone’s getting all crazed out you want to tell them to search for something else in life that has more meaning”. What topics do you cover on the college lecture circuit and how does the content differ from your album material? “Rat race, reality and technology. I pretty much have been consistent with those for 20 years. Usually those are the themes. They seem to captivate young minds. I try to do my best to explain the history of things”. You testified before Congress in favor of “peer to peer mp3 sharing,” something that would obviously be detrimental to your income/your industry. This could shed light on the fact that money is not your motivation and along with political reasons you believe in an alternate purpose for making your music. ” You gotta love it. Making a living is different than making a killing. People solely after money end up doing stupid things. You gotta love every aspect of the creative process”. You’ve released your first solo record in over 14 years, Don’t Rhyme For The Sake of Riddlin’. What led to putting out another solo album? And it’s only available at digital outlets, is that correct? “The record sn’t so much a solo album, per se, as it is a solo project. A lot of projects like Confrontation Camp and Fine Arts Militia are included in this, as well as a lot of other work I’ve done in the last 10 years. I’ve recorded songs for ESPN [“Get Used To Me,” for a Muhammad Ali tribute] and done several others throughout the last 10 years; Don’t Rhyme For The Sake of Riddlin’ collects all that together. If this were to be a physical release, I probably wouldn’t have done it”. “We’re in an age where we can deliver now without the hindrance of the business side of things. As it is now, I tend to make songs one at a time. The album concept was beautiful back then, but music has been a singles-driven medium for the last 10 years. I see something happening in the world, I can write a song about it and have it out there almost instantly”. What do you think of Flav’s recent venture into the fried chicken business? “I think it’s a positive thing for Flav. The thing with the reality TV thing, it’s not real at all. You can be on it one year and done the next.. Flav wanted to do a talk show with the same people that did Flavor of Love, but they didn’t think that was a good idea”.